The Deadline to register is November 9. *This conference will be paper-less. Please bring your own electronic device to obtain hand-outs. 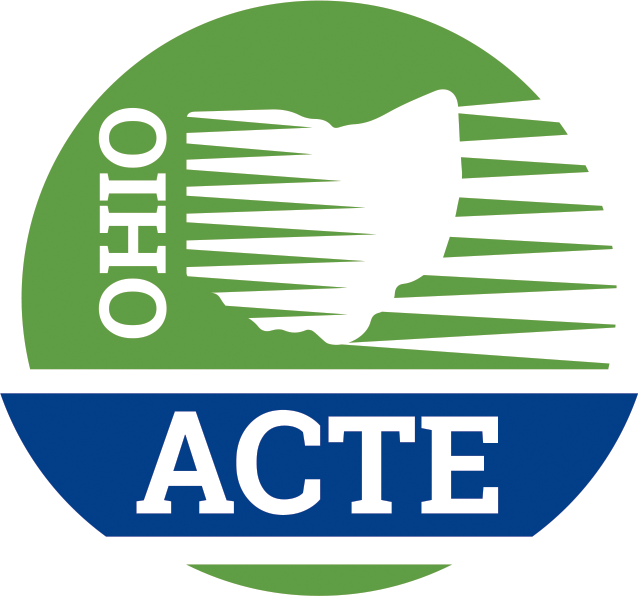 If you have any questions related to registering or submitting payment for the meeting, please contact Chris Materni, Ohio ACTE 614.890.2283 or send an email to membership@ohioacte.org. 2) If you need more than one room or have more than one guest click *more options tab* do not fill in any other tabs. 3) Select *Book*Then select your room type (group name will show on the top right side of page and rates will show on the left side. *If the link doesn’t work please call the hotel reservation line directly at 1-866-309-1866. Give the reservation department your group code “CTE” and your arrival/departure dates.